Johann rocks up to the house, sends me a text “Thanks, Love!”. It’s sweet but I think the sentiment is misguided, I’ll take it though, it’s a harsh world and the cold is eating through my chequered shirt. If K is reading this, I think it was meant for you! We are on the road early; New Years resolutions are being activated early. It’s the new way, Johann assures me. So of course we get to the gig with ten minutes to spare. “Should I move to Manchester?” He jokes, “Manchester people are so much friendlier!” just as he is cut up by an errant Mancunian in a silver Volvo. We both laugh, he practically has a scouse accent. We get to the Ritz, the photo passes are the best since Mr Big, worth keeping if you like that kind of thing. The pints here are over a fiver, thus the bar area isn’t packed. Lessons could be learned from smaller venues with a better pricing system. I’ve been looking forward to this gig for some time. Having some tenuous ties to the band, I was keen to see if they are as heavy as reported. The support band Von Hertzen Brothers are an unknown quantity so there is some excitement to be had prior to the main act. A sample dances out of the speakers into the crowd, a simple almost fairground ditty, then a low vocal harmony, sustained, behind a pulsing bass and bare arpeggio ring out. The lighting is atmospheric, the band are all tall, everyone has a mic. As one, the band launches into a dizzying and circular break. ‘War is Over’ is a melodic masterpiece, the vocal harmonies are deep and rich. They have two keyboard players, one directs samples and effects, this gives the music a extra level of depth. The Von Hertzen Brothers have no limitation, they are clearly very capable and technical. There are hints of the undistorted Opeth and they are clearly influenced by Pink Floyd. The progressive elements are largely kept to a minimum, in the main they appear to favour complex vocals and the occasional odd time signature over more modern progressive trends of staccato riffs and super fast solos. This helps the song become the focus and not the technical mastery of any given individual. 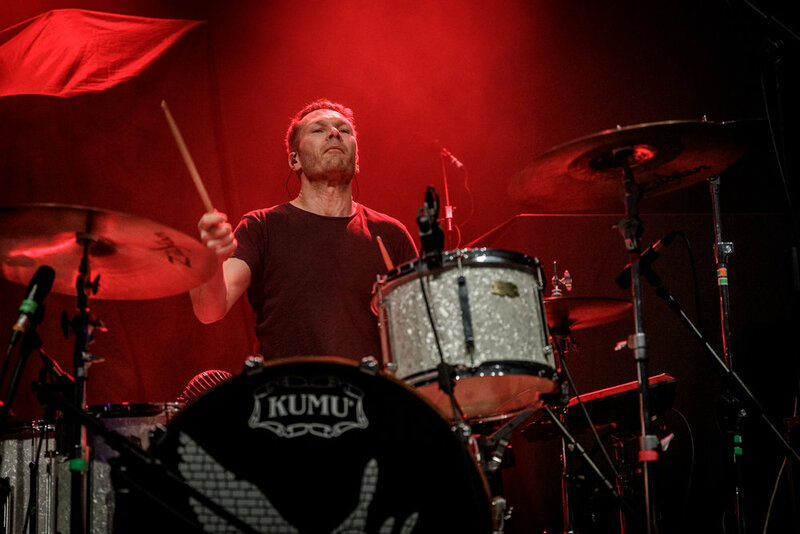 ‘Jerusalem’ taken from the album ‘War is Over’ begins with a military drum beat, this also adds to the progressive label. Often taking a concept literally and then trying to replicate that through music lends an almost orchestral feel to the music. The layers of synths maintain that early Floyd vibe. 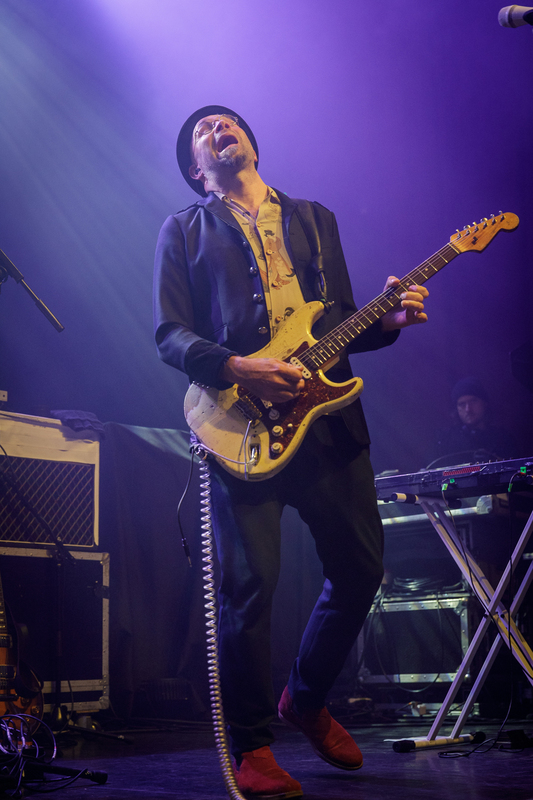 The singer Mikke Von Hertzen, one of three brothers in the band has a strong and unwavering vocal style with. ‘Long Lost Sailor’ is almost dance music, with repeated sixteenths and a driving incessant drum beat. Clean strummed guitar parts and a lyric about a weekend escape into the arms of a unknown lover. The crowd clap along, still not totally warmed up. This isn’t a progressive song in any way, pop rock at its best. ‘Flowers & Rust’ is what first drew UK attention to Finnish shores and the top ten Finnish chart, where the Von Hertzen Brothers had made a surprise breakthrough. Taken from the 2013 album ‘Nine Lives’ this too is a very un-progressive rock song, with a strong vocal chorus and heavy choral riff. There are samples that you would hear from bands like Sigor Ros, with the addition of bombastic riffs and a four piece vocal harmony the tone is epic and holds the attention of crowd. They finish the set with the title track from their 2015 album ‘New Day Rising’. It’s a ferociously driven rock song, with battering, exquisite drums, a call and response chorus and a hooky but simple guitar melody. The label of progressive is unfair, The Von Hertzen Brothers music has flourishes, strong dynamic twists and complex vocal harmonies, but the overarching theme is a rock band trying to extend the reach of rock and metal beyond the realms of a garage band. They are truly a magical live band. They have been together for 17 years and are only now getting the international attention they deserve. Don’t be surprised if you hear more from this very accomplished band. The gap as ever, is reasonable, and we have time to discuss the demographics of the crowd, who in the main are somewhat older than ourselves. 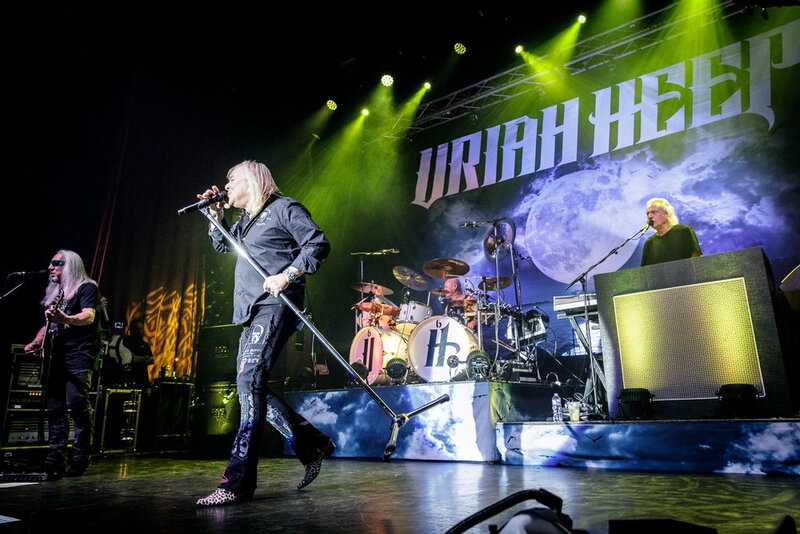 Uriah Heep were formed in 1967 so it’s not hugely surprising to have an ageing audience. However, there are pockets of students and younger people. The crowd is split somewhere around 70-30% male to female respectively. A young couple to the side of me are struggling to work out what the song playing over the sound system is. It’s ‘Paranoid’, I weep silently. Uriah Heep enter the stage, ‘Grazed by Heaven’ kicks the set off, a very rapid almost Paul Gilbert style riff. The sound is immaculate. I’m immediately surprised at how big the sound is, also the complexity. I’m not sure why I expected a simpler form of rock. Bernie Shaw joined the band in 1986 and his vocals are superb, he is 63, you would never know, skin tight jeans and black shirt he bounces around the stage all night. His voice is very similar to Dio, a little less range but a little more power. Mick Box, the only remaining original member and founder, Les Paul in hand, kicks into the wah solo. When you consider the music he had to learn from, his technique is very good and the solos are melodic, but more than that he is a good show man. ‘Too Scare To Run’ taken from the 1982 album ‘Abominog’ is a Lizzyeqsque fire cracker of a song with a touch of Maiden’s pulse, people are jumping up and down around me. There is a lot of happiness in the crowd, the fans are a lot less inhibited than some of the crowds I have seen recently. 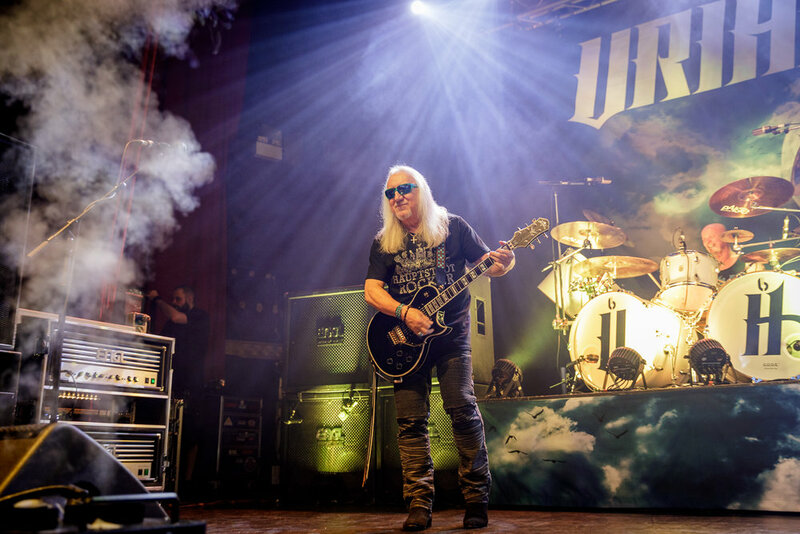 ‘Living the Dream’ is Heep’s 2018 offering and is a extremely well produced album. The title track is a moody, hypnotic mix of Led Zeppelin’s ‘Kashmir’ but with Heep’s unique vocal harmonies. Bernie Shaw has a wonderful way of writing verses, they are memorable, but the choruses aren’t simply hooks, they are well crafted, leaving the listener value for money and re-playability. Uriah Heep are not afraid to play long instrumental parts as well. This allows people to slowly slip into the music live, the bar is empty, always a good sign for a band. Everyone is watching, “I got the sun and the moon on the one hand” the band sing in unison, it’s mesmerising and deeply soulful. They turn back the clock to the early seventies, ‘Rainbow Demon’ is a classic prog rock song. 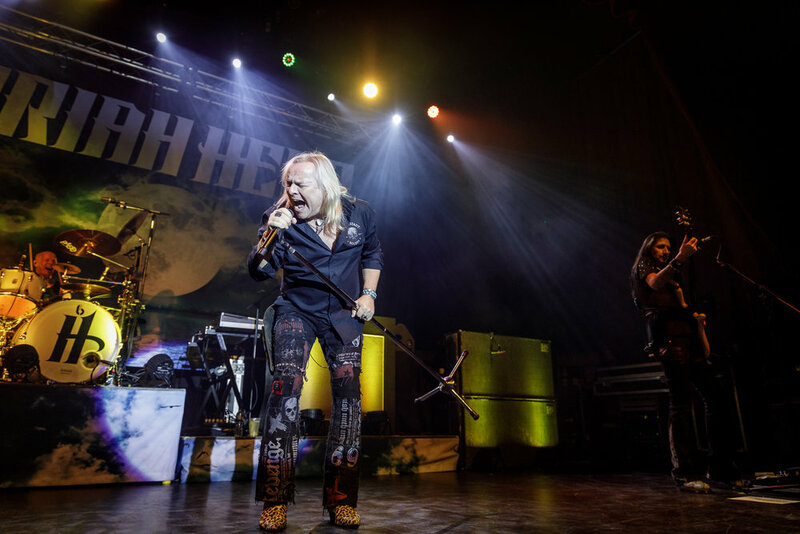 Esoteric lyrics, atmospheric Hammond organ and a big pompous riff, with hints of Bad Company, Rainbow, Deep Purple and DIo, you can see how Uriah Heep completely influenced the seventies. I have to stop myself from attributing influence upon them, it’s the other way around. 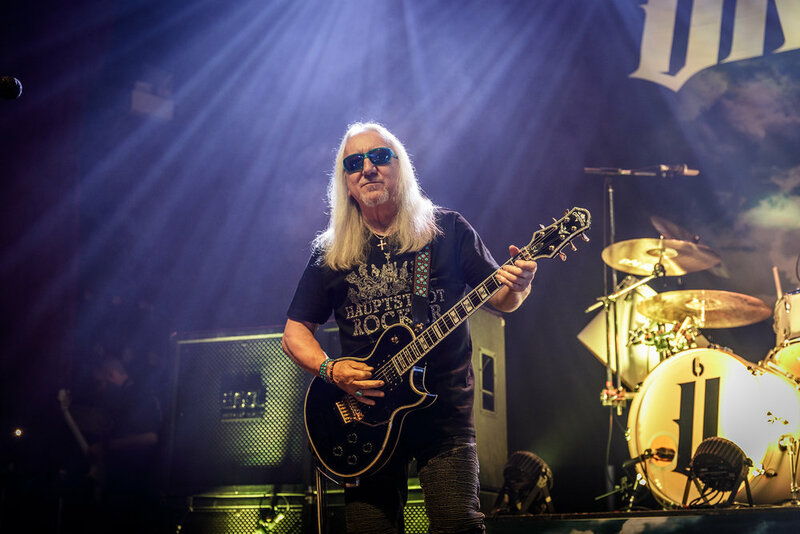 Tenacious D likes to cite Ronny James Dio as their main influence but Uriah Heep set the tone and bar for progressive rock music with that very English feel. Live ‘Rainbow Demon’ is immense, booming on a geological scale. We are half way through the set, Bernie is great with the crowd, he is funny and exuberant. Dave Rimmer on bass is very inch the Rockstar, tall and lean, jet black hair with a classic metal look, he strides around the stage with his custom Bass, glowing LED’s and gets the crowd clapping. The whole band have a really good way with the crowd. ‘Waters Flowin’’ is an acoustic folksy tune, a happy singalong, the crowd claps and nanana’s with the band. ‘Rocks in the Road’ takes the momentum back up a few notches, a middle paced classic rock tune taken from their latest album ‘Living the Dream’. Bernie’s voice is holding strong, and “Rocks in the Road” showcases the bands togetherness with a synced bass, guitar and keyboard riff. 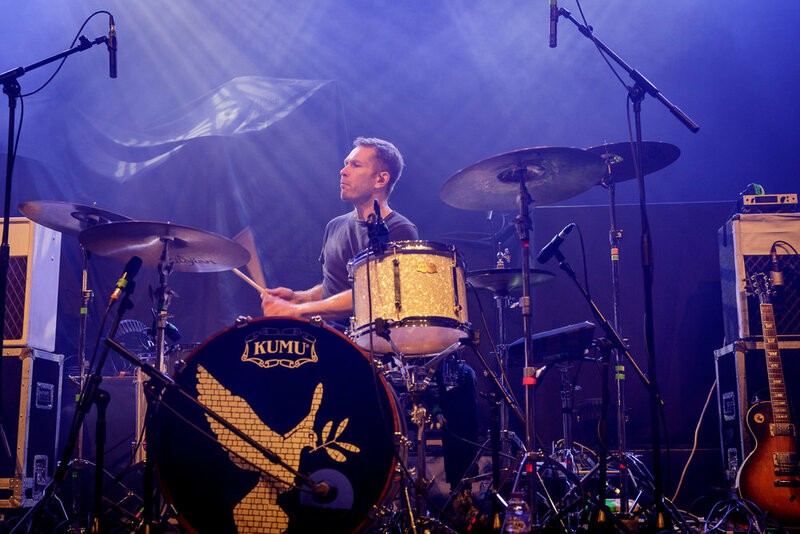 One side note, the drummer Russell Gilbrook batters, and I can’t emphasise this enough, batters the drums. When Bernie announces ‘Gypsy’, a sudden roar escapes the crowd. Taken from their debut album ‘Very ‘Eavy, Very ‘Umble’, this is the first song anyone would have heard from Uriah Heep in 1970. A masterpiece of it’s time, with drops of Jethro Tull and a raw vibe I have only heard in Jesus Christ Superstar, this song more than any other allows Bernie Shaw to showcase the more theatrical side of his stage personality. ‘July Morning’ continues the early seventies vibe, with the very serious hammond keyboard in the back ground, a building arpeggio, this starts as a epic ballad. From the outset you know this is going to grow and drive. 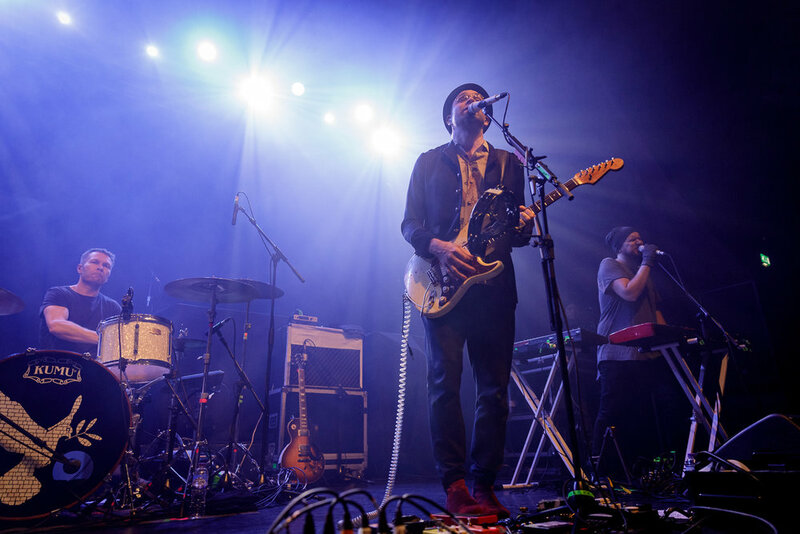 The crowd are swaying and thoroughly ensconced in the hypnotic music pounding forth from the band. Heep rounds the night off with ‘Easy Livin’’ taken from their 1972 album ‘Demons and Wizards’. The most uptempo track of the night, a bass breaking, breakneck almost punk rock song. While the music jogs, the vocals sail smoothly across the song. An easy to sing chorus, filled with vocals, backing vocals, keyboard swashes and that incessant bass running through the whole track. It’s a classic assault on the senses and still gets a crowd jumping along. Uriah Heep were as surprising a band as I’ve come across. If they were on a bill with some of the “Rock” bands I have seen they would blow them out of the water, with their unique brand of energy, they are a very warm band who bring the crowd with them during the gig. I urge you to go and see them, they well worth every penny and more. I can’t see them slowing down anytime soon. It was pleasure to be in the Ritz. Von Hertzen Brothers were a mislabelled but brilliant band, of complex but excellent music. The journey home is short and dominated with politics, exploding cars and smelly cooking such is the world we are in at the minute. That said, we can only be thankful that for a few hours none of that mattered, all we have is rock and that’s all we will ever need.